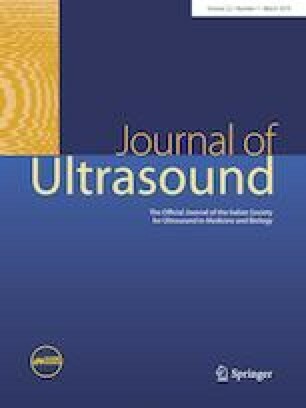 The aim of this study is to assess the effectiveness and safety of radiofrequency ablation (RFA) in debulking benign solid thyroid nodules. This is a retrospective review of 77 patients with predominantly solid thyroid nodules treated with RFA in a single center between 2013 and 2016. All patients declined or were not eligible for surgery. Benign proven thyroid nodules causing compressive symptoms and cosmetic concerns were considered for treatment. Nodule volume, thyroid nodule related compressive symptoms, cosmetic concerns and thyroid function were evaluated. All patients underwent a single treatment session. Mean nodule volume decreased from 17.9 ± 15.6 mL at baseline to 5.2 ± 7.4 after 12 months with a volume reduction ratio (VRR) of 70.9% ± 20.8%. There were no identifiable factors predictive of response to RFA. Median cosmetic and symptom scores of the entire population decreased from 3 [2–4] and 3 [0–10] to 1 [1–3] (p < 0.001) and 0 [0–5] (p < 0.001), respectively. No major complications occurred and RFA did not affect thyroid function when normal. RFA induces substantial volume reduction of predominantly solid thyroid nodules and improves compressive symptoms and cosmetic concerns. RFA does not impact normal thyroid function and has an acceptable safety profile. Minimally invasive techniques Thermal ablation therapy Radiofrequency ablation Benign thyroid nodules. Paolo Rabuffi and Enrico Di Stasio equally contributed to the present manuscript.